As part of their environmentally friendly Hemp/Cotton bag range, the Sativa Hemp Shoulder Bag is made entirely from a mix of natural hemp and cotton making them strong and durable, perfect for everyday use. The Sativa Hemp Shoulder Bag features a magnetic button lock hidden behind the front buckle providing users with quick access with deterring pick pockets. Inside the bag there are three compartments to store your possessions, as well as a key holder to keep them safe and easy to access. This bag also features an adjustable strap which can be removed, allowing the wearer to use it as a shoulder bag or waist bag via the fastening strap located on the back. 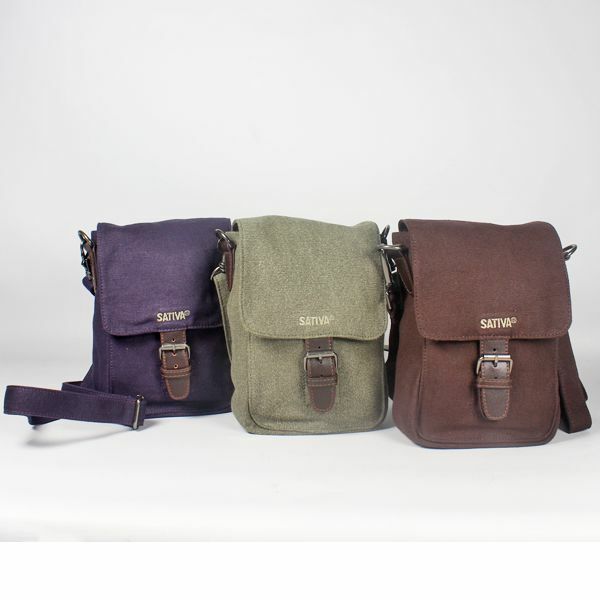 The Sativa Hemp Shoulder Bag is available in 4 colours, grey, kaki, brown and plumb, and measures 23cm tall, 17cm wide and 7cm deep. Why not check out our range of Sativa Hemp Wallets to finish of the look? We could have a handbag or “man bag” but, if you are looking for something that is versatile, but at the same time classy as well as functional, then we think you will find that this hemp wallet will carry all your essential gear, credit cards, bank notes, coins, driving license or ID, and it can be secured to you with the neat chain, for extra security. What is more, because these wallets are made of hemp, they are eco-friendly, sustainable and built to last a lifetime! Using one of these Sativa Hemp Wallets it will quickly become apparent that this hard wearing practical design is made of the finest organically-grown hemp/cotton mix/cotton. We know that the material is eco-friendly, but there is more; the material is strong, sturdy and highly durable, inside it features contains 6 separate sections for credit cards, not one but two slots for notes and compartments for change and photos, this really is a very functional wallet, measuring up at 10cm wide and 13cm high. 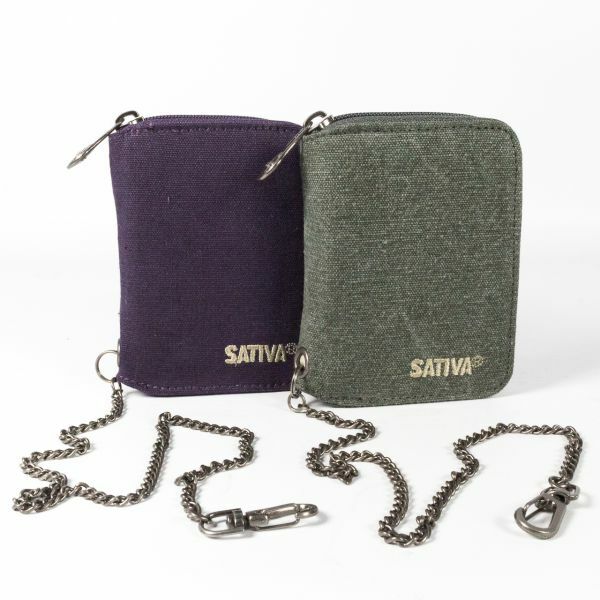 Offered by us in two attractive colours, Grey or Plum, we can confirm that these hemp wallets are made to the same impeccable standard that we have come to expect from Sativa Bags and at just £23.99, they are very affordable and could make a perfect gift. This soap is not just a trendy accessory; experts tell us that it has tremendous benefits derived by the simple use of hemp extract to purify your body and moisturise dry skin through this soap. 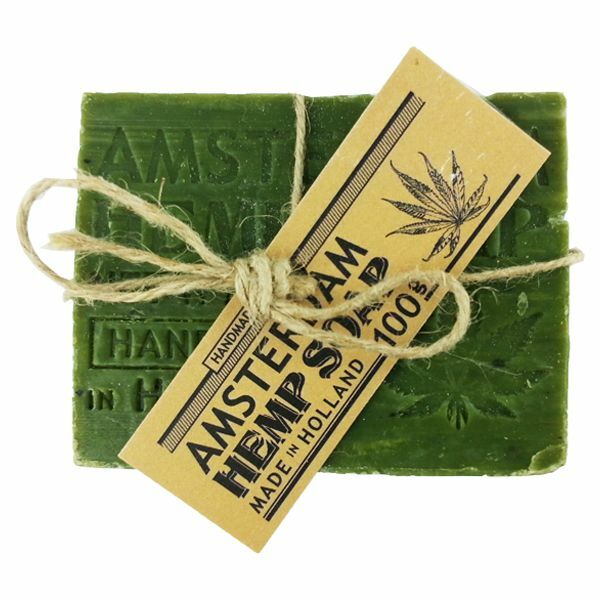 We have these Hemp soaps made for us in Holland and these are offered as a 35g bar in a beautifully styled leaf shape, or a 100g bar, or five 50g leaf shaped presentation pieces, none of which are going to “break the bank” especially when you consider the benefits they bring. We know that many experts in the dermatology field advise the use of applying hemp oil to the skin and hair via hemp lotion, and even directly as pure hemp oil skin treatments. We realise that this can be difficult, but this is why so many people now are enjoying the benefits brought by hemp oil and to take advantage of their properties by using hemp oil soaps, enjoying the high levels of Vitamin A, C, and E, which hemp oil provides, through the simple process of using these soaps, in the bathroom.